Pioneering a rapid, point-of-care response system for deadly infectious diseases. Mosquitos do not discriminate between race, creed, or borders. They are not acquainted with prejudice. They are the planet’s most dispassionate killers. For Irene Bosch, an expert in the ecology of disease and tropical public health, the consequences of mosquito-borne illness were witnessed first hand in her doctoral field work in the Amazon rainforest and its neighboring towns and cities. Consequences and suffering that, to her, were entirely avoidable if only she could cut through the inefficient infrastructure and bureaucracies that did little to impede epidemics of dengue, chikungunya, and Zika. Bosch’s company, E25Bio, has developed a rapid and point of care response system that detects deadly infectious diseases in minutes, not days, while providing public health officials with the data to accurately and quickly pinpoint infected areas. 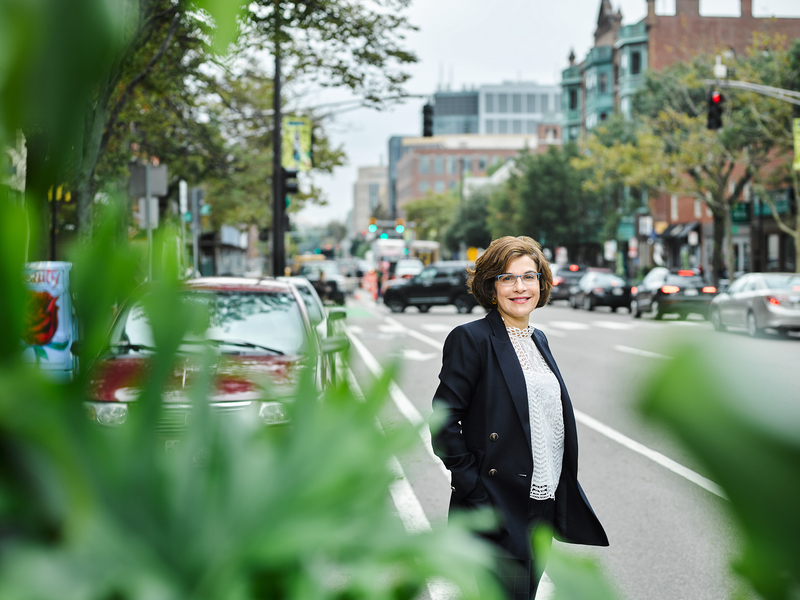 The journey from the cities and forests of South America to The Engine brought Bosch, a Venezuelan native, through labs at Harvard, UMass Medical School, The Broad Institute, Mount Sinai School of Medicine, and MIT. It was at her latest appointment, in MIT’s Gehrke lab, that she produced the antibodies and designed the test that would eventually serve as the foundation for E25Bio. The test, a simple nitrocellulose diagnostic strip (not dissimilar from those found in over-the-counter pregnancy tests), with clever use of gold nanoparticles for instant visualization of the test results, was engineered for its accuracy and affordability. An ingenious choice considering they will be manufactured and distributed by the millions. For Bosch, the barrier to adoption must be as low as possible. She has seen disadvantages of traditional instrumented physician-administered blood tests first hand. Though the form factor may be simple and affordable, it is a vehicle for something far more valuable. Antibodies. E25Bio has developed the first test of this kind to distinguish between dengue (as well as all four subtypes of the disease), chikungunya, and Zika. The lack of cross-reactivity in the test will help eliminate misdiagnosis and inaccurate or insufficient treatment. There are simply too many hurdles for the existing testing paradigm to be a successful tool in containing an epidemic. The typical detection practice for dengue, chikungunya, and Zika works like this: an initial hospital or clinic visit; a doctor consultation and blood draw; a laboratory workup; assessment of test results. It’s a process that takes days at the minimum, and in many instances, is measured in weeks. Not only does this eliminate the possibilities of successful containment, it elevates the risk of patient fatality by 20%. It is a broken system. For Bosch, the promise of eliminating the gap between disease detection and the impact of that detection, proved too great to leave her testing technology in the lab. But she also knew that a test alone, however intuitive and effective, could never fulfill her more grand mission of epidemic control. She needed to develop a complementary monitoring solution. Bosch worked with image recognition experts and app designers to prototype a lightweight mobile-based platform that will catalog the results of the rapid test along with corresponding time and location. Such a platform will enable populations affected by disease to report their diagnosis with few, if any, barriers. The data generated by the platform will be aggregated and used by local governments to create a near real-time portrait of a potential epidemic and take necessary preventative measures while the spread of disease is still controllable. The digital test results can easily be merged and analyzed against other clinical data from the patient to better understand overall clinical presentation and outcomes. But for E25Bio to truly succeed, it must do more than devise a novel infectious disease response system. Bosch knows her company will face regulatory hurdles for over-the-counter use and pushback from the established players on its way to mass adoption. Adriana Prat, E25Bio’s Head of Regulatory Affairs, is a pharmaceutical industry veteran. She brings over twenty years of regulatory experience in Latin American markets from her time at Genzyme and Sanofi. It is under her oversight—oversight with intimate knowledge of the governments and markets hardest hit by dengue, chikungunya, and Zika—that E25Bio will implement its first large-scale tests. E25Bio is putting a specialized central medical testing facility on a single paper test strip. Such audacious consolidation subverts the disparity of access to life-changing medical knowledge. The company’s infectious disease response system will empower patients, healthcare workers, and public health officials to stem the spread of a potential epidemic, wherever it may strike. Disease, after all, knows no borders.